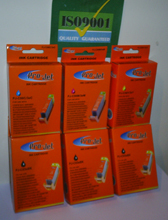 6-Pack of Fabulous Compatibles – all ISO9001 Quality Guaranteed. 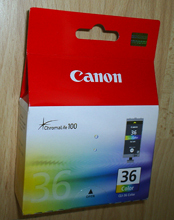 Standard colour mix is one each of cyan/magent/yellow – if you prefer a different mix just let us know on the order page. 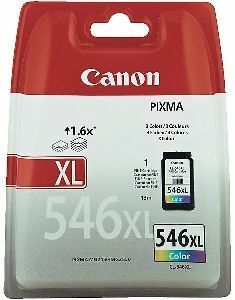 CLI-36 – Genuine Canon Cli-36 12ml Ink Tank, delivered FAST & FREE! 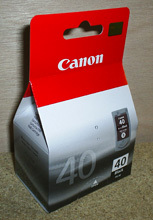 PG-40 – Canon Original Equipment Black 16ml Cartridge – delivered FAST & FREE! 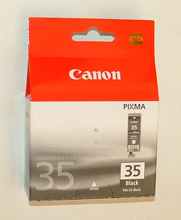 PGI-35Bk – Genuine Canon Branded Black Cartridge – delivered FAST & FREE!